Last week, the state House of Representatives passed Senate bill 2922, which seeks to amend the state constitution to allow the Legislature to add a surcharge on investment real property to support public education. The bill will likely head to conference committee and the House and the Senate will negotiate and possibly create a version of the bill should move forward. If passed by the Legislature and signed by the governor, Hawaii voters will then ultimately decide on this matter in the upcoming general election. Although the Department of Education receives almost 20 percent of the entire state budget, administrators, teachers, students and advocates of this bill have legitimate reasons to demand more funding to provide quality education to our keiki. Real property taxes, however, are the counties’ primary and largest source of revenue to fund county programs. In many Mainland communities, local real estate taxes are used to support local schools. The communities decide for themselves what they can afford and tax their residents accordingly. In Hawaii, a decision was made decades ago to establish a statewide school and health care system, which differs from most of the nation, and was intended to be funded through state tax collections. If lawmakers and the governor believe schools are underfunded, the Legislature should accept responsibility and appropriately fund education without causing financial challenges for the counties. The state has far more taxing authority and has many methods to handle increases of educational funding. The premise that the counties should fund schools without having a greater say in the way that monies are spent ignores the importance of a community’s right to decision-making. Counties also have mounting expenses — providing social services and parks maintenance, and delivering fire, police and lifeguard services just to name a few. My hope is that this bill will not move forward and an alternative method of funding education is identified. One bright spot, however, is Senate bill 648, which is being closely monitored. Passed by the House, the measure is expected to be further discussed in conference committee. The bill proposes to allocate additional transient accommodations tax revenues to the counties of Kauai, Hawaii and Maui. 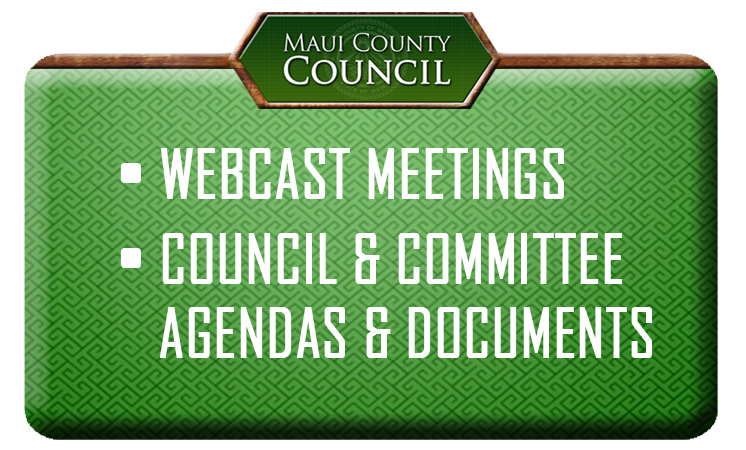 If passed, Maui County would receive an additional $14.8 million in TAT revenues, bringing the annual total that the county receives up to $38.3 million. The allocation of additional TAT money is a step in the right direction, as the Neighbor Island counties received no additional benefits after the Legislature voted during a special legislative session this past summer to increase the TAT by 1 percent statewide to fund Honolulu’s rail project. Finally, Senate bill 2996 is still moving and proposes to establish the Hawaii Airports Corp. If passed, an independent entity will assume the authority, powers, functions, duties and responsibilities of the state Department of Transportation related to aeronautics and airports. The responsibility for development, management and operation of the state’s airport system is currently overseen by the Department of Transportation, which has vast responsibilities throughout the state from maintaining roadways to operating harbors. If established, the corporation would be able to provide a clear singular focus on completing critical upgrade projects and overseeing long-term planning at all Hawaii airports. Kahului is the state’s second busiest airport and would benefit greatly from management with less bureaucracy and would be similar to how airports are run across the country. Making a good first and last impression for visitors is critically important in maintaining our largest economic driver.